"This entire mission profile simulated the process of securing advanced footholds for follow-on forces to conduct further military operations, with rapid redeployment," the Corps said in a statement to Business Insider, which notes the drill was part of the Expeditionary Advanced Base Operations strategy — basically a modern-day approach to the island-hopping strategy that the US used during World War II to seize small islands in the Pacific Ocean defended by the Japanese Empire. "It is critical for us to be able to project power in the context of China, and one of the traditional missions of the Marine Corps is seizing advanced bases," Marine Corps Gen. Joseph Dunford, the chairman of the Joint Chiefs of Staff, told Congress last week. "If you look at the island chains and so forth in the Pacific as platforms from which we can project power, that would be a historical mission for the Marine Corps and one that is very relevant in a China scenario." "I would just say that the United States military's had a lot of experience in the Western Pacific taking down small islands," Lieutenant General Kenneth F. McKenzie Jr., the Pentagon's Joint Staff director, said last May during a Pentagon press conference when prompted about the challenges China's islands posed. "Taking down small islands that are isolated" is a "core competency," McKenzie said, cautioning that one "shouldn't read anything more into that than a simple statement of historical fact." ​However, China's tiny reclaimed atolls and islets aren't quite the sea fortresses the Japanese turned their small islands scattered across the Pacific into. A quick survey of three islands the US attacked in World War II indicates they have areas much bigger than any South China Sea islet: Peleliu (five square miles), Tarawa (12 square miles) and Iwo Jima (eight square miles). By comparison, the area of the largest South China Sea islands includes Woody Island (one square mile), Mischief Reef (2.1 square miles), Taiping Island (0.04 square miles) and Fiery Cross Reef (one square mile). That excludes, of course, Hainan, by far the largest, but also totally uncontested as a Chinese province. 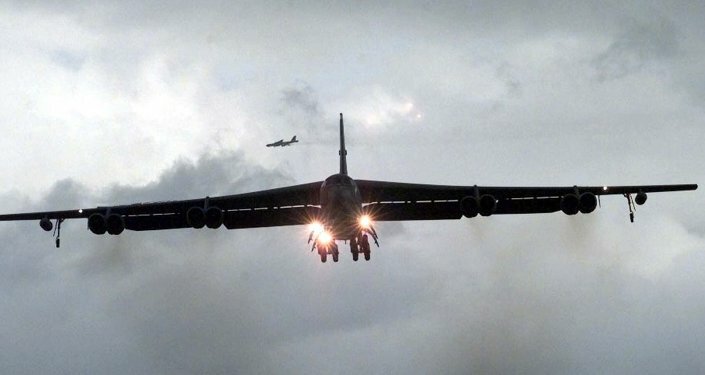 However, US forces seeking to attack those islands would also have to contend with the long-range anti-ship missiles the Chinese People's Liberation Army has placed on many of the larger islands, including those named above — a challenge US forces in the 1940s didn't face. On March 12, the US Navy's Expeditionary Combat Command kicked off the joint Exercise Pacific Blitz 2019 in southern California. During the drills, which last until March 26, US Navy forces supported Marines by "by establishing theater logistics through the development of advanced naval bases," according to a Monday Navy press release. 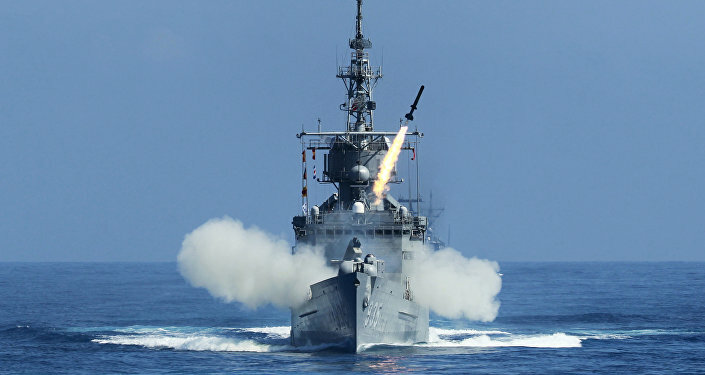 "The NEF [Navy Expeditionary Forces] will be conducting field training exercises which include military base construction and maintenance, expeditionary medical facility construction and maintenance, port security, expeditionary rapid airfield damage repair, port damage assessment and repair, support to undersea warfare and expeditionary ordnance reload," the statement says. "When you consider today's threats, it is all about maintaining a ready force that can move rapidly into congested domains," Marine Expeditionary Forces commander Lt. Gen. Joseph L. Osterman said in a Marine Corps statement on Wednesday. "The future fight is going to require us to leverage a Marine land component as part of our larger goal of sea control. We must train to make time sensitive decisions in the face of uncertainty." "The US Navy and Marine Corps are a team, and joint training like Pacific Blitz allows our team to improve our capability to conduct amphibious operations," said Vice Adm. John D. Alexander, commander of the 3rd Fleet. "In the current maritime environment here in the Pacific, joint partnerships and power projection are key to maintaining free and open sea lanes."